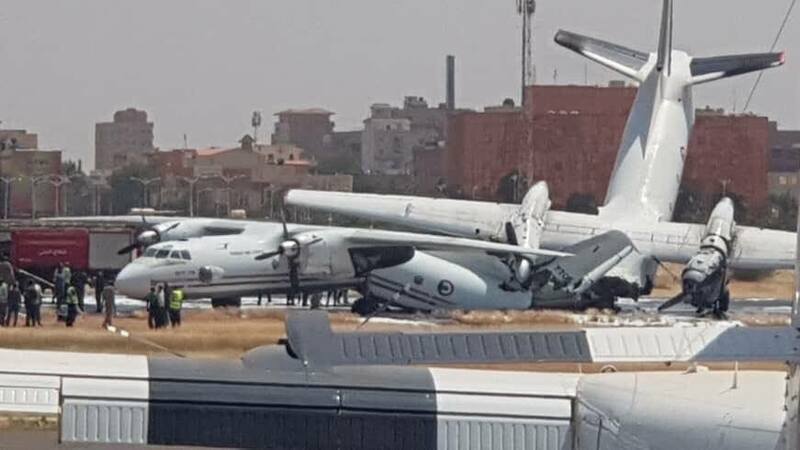 The airplane was apparently engaged in an exercise with a second Sudanese Air Force Antonov AN-32. After touchdown on runway 18, the crew started the braking procedure when the airplane was struck by the AN-32 from behind. After collision, both airplanes went out of control and came to rest by the runway edge. There were no casualties while both aircraft are destroyed. It appears that the AN-32 landed shortly after the AN-26 and was unable to stop in a timely manner. The registration 7706 is not confirmed yet.